What does it take to be really, genuinely happy? Is financial success a proof of purpose? If not, what’s the difference? 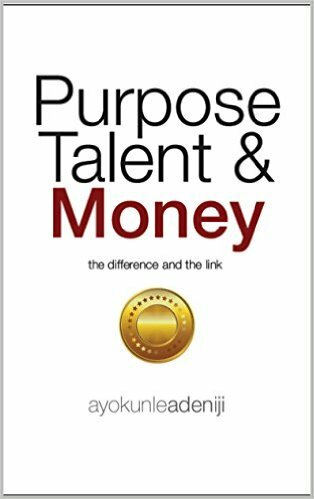 In his inspiring book, Ayokunle Adeniji separates fulfilling purpose from earning a living and at the same time, gives the link between both ideals and why you don’t have to lose one to gain the other. Purpose, Talent and Money will give clarity to your reason for living, inspire you to reach for greatness that certainly lies within and make you understand why you have to be yourself if you truly want to be happy and successful at the same time.